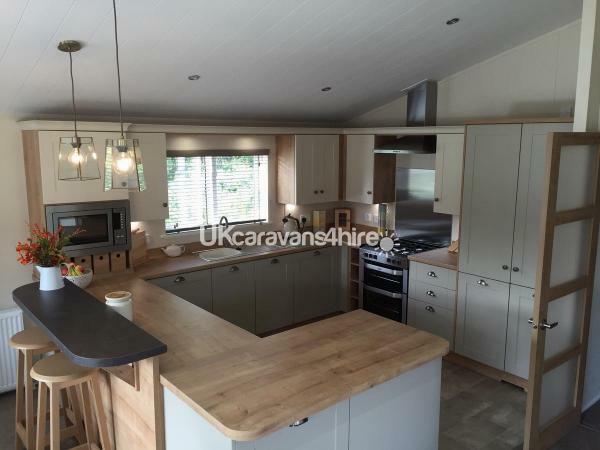 This stunning lodge has only just been available to hire. 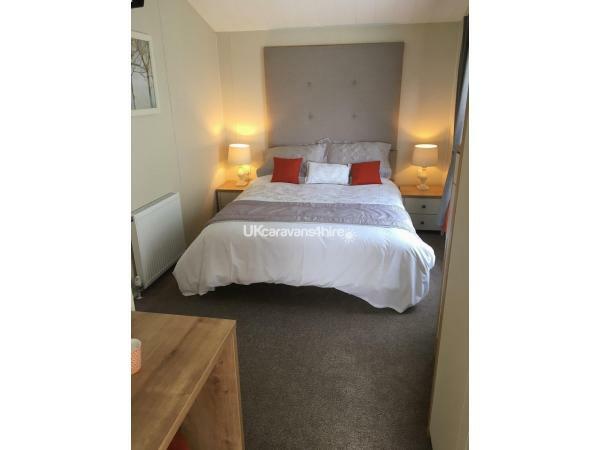 It is in immaculate condition and offers 2 spacious single bedrooms (2 beds in each) and a large king size bedroom (with en suite) All beds are full size. The lodge has a beautiful bathroom with bath and shower and an additional en suite shower room. All bedrooms have a tv/dvd and Freeview and all bedding is provided. The lodge is very well equipped with fridge, freezer, oven/cooker, dishwasher, microwave and washing machine. The dining table seats 6 comfortably and a highchair, travel cot and bed guard is available on request. 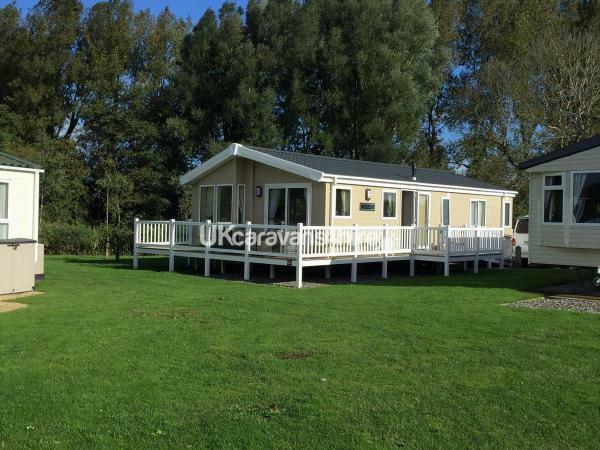 The lodge is in a quiet area with a large green to the side and no caravans behind. It is at the end of a no through road so no passing traffic. It has one designated parking space and plenty of room behind for at least another 2 cars. This is a non smoking non vaping lodge and we do not accept pets sorry. Entertainment passes are not included but can be purchased directly from Kiln Park. This fabulous lodge exceeded our expectations. Comfortable, clean and excellently equipped with everything needed for our break. Spacious accommodation for our family visit of 4 adults and 2 young children, and great to have full size beds. A pleasure dealing with Cherrill through the booking process, we would love to return in the future. 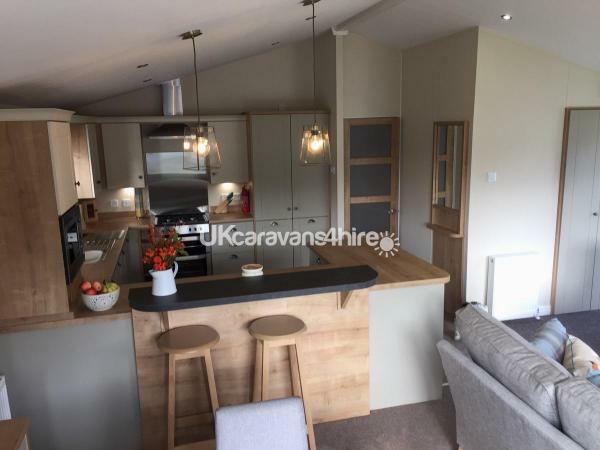 The lodge was lovely, spacious, clean, and in a quiet and convenient location. Cherrill couldn't have been more helpful. I couldn't recommend it highly enough. Perfect for our stay in Tenby. Thank you for looking after our lodge so well Anita. We would love to have you and your family to stay again in the future.